I have ten years of editorial experience at major publishing houses and specialize in adult trade nonfiction, including narrative and illustrated books. Titles edited include New York Times best-sellers. I can take books from conception and line editing to final manuscript or printer-ready (packaged) files, typeset or highly designed. I have a BA in writing, am proficient in Chicago Style, and am based in NYC. I will consider fiction after receiving a full manuscript. A sample of edited books are featured below; more are available on request. The Hip Girl's Guide to Homemaking: Decorating, Dining, and the Gratifying Pleasures of Self-Sufficiency--on a Budget! it's so simple! 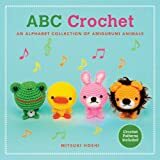 get crafting and create your very own adorable needle-felt zoo.Cute kittens, delightful dachshunds, fabulous foxes, and lovely lions are easy and fun to make when you know how to needle-felt.Needle-felting is a great craft for beginners and the simplest way to create cute, quirky little characters. This book shows you how, with clear text and step-by-step photos. Friendly copyeditor and proofreader with work experience in publishing and the NGO sector, and several professional qualifications. I'm a book editor who specializes in narrative nonfiction, memoir, business, travel, and food.